Fraternal Republic of Utraijnia recently take great pride in celebrating royal engagement of Prince Mikhail Douglaski and Rahela Annushka. Special steam train make maiden voyage to glorious fan fare! Here we see the steam train special posed at the station as the royal party disembark. 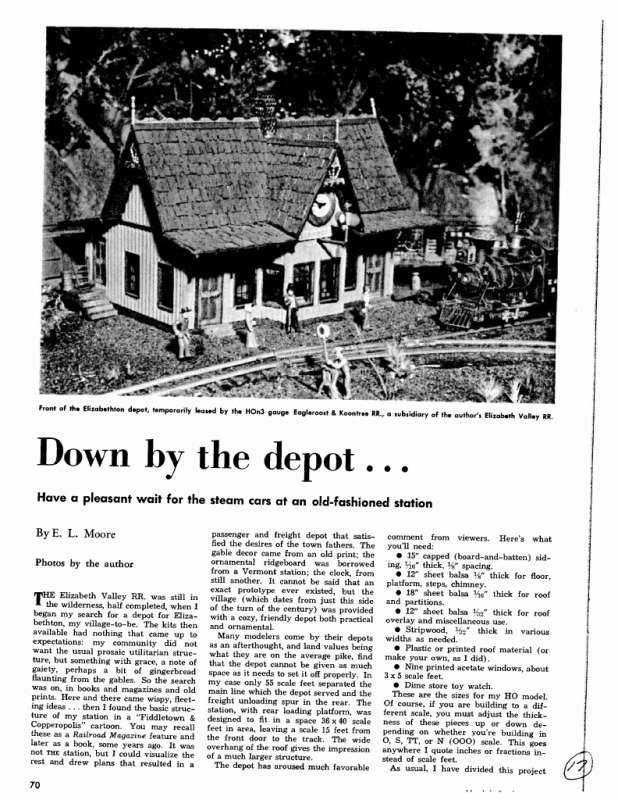 Many Utrainian residents drove considerable distances to attend the celebrations, for the steam train was a very notable event; not only was it the royal-proposal-train, but it was also the first train to ever run on the real (model) Utrainia. The new terminus of Utrainia is now Raparapa, which is a portmanteau of "Wairarapa" and Rachel's initials, R A P. I built the village of Raparapa in order to propose to Rachel, a task it achieved most splendidly! I tried to remember to take photos as I built things over the last few months, so here is the back story behind Raparapa. 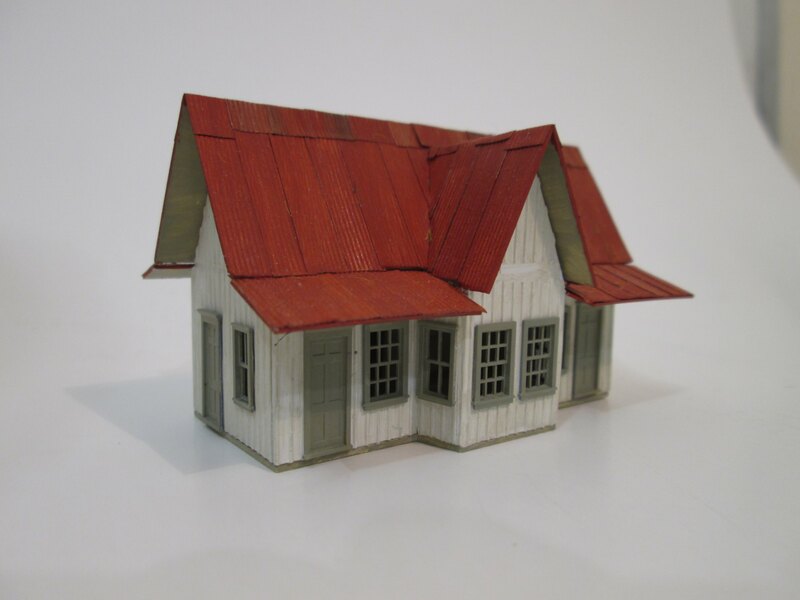 In the intervening half century, techniques and changed a little and balsa is no longer the preferred building material. 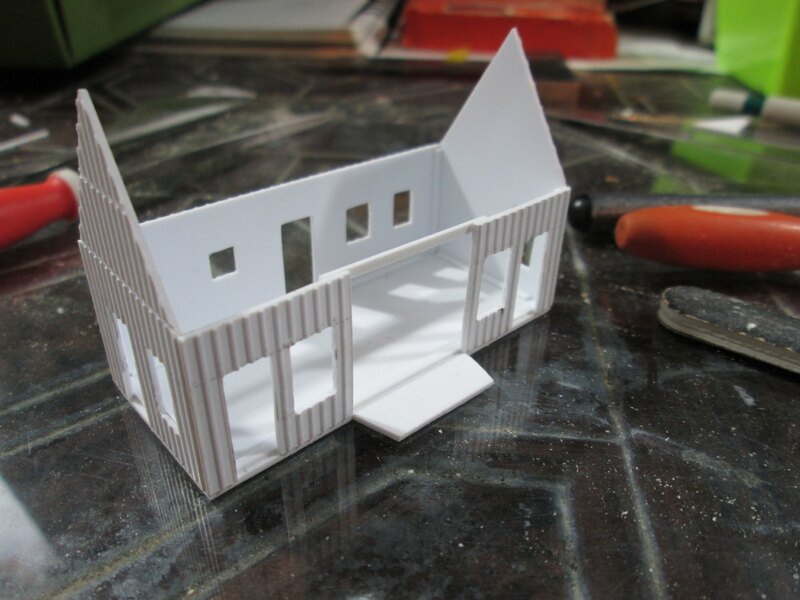 For this I used styrene sheet that already had a ridged pattern cast into it. 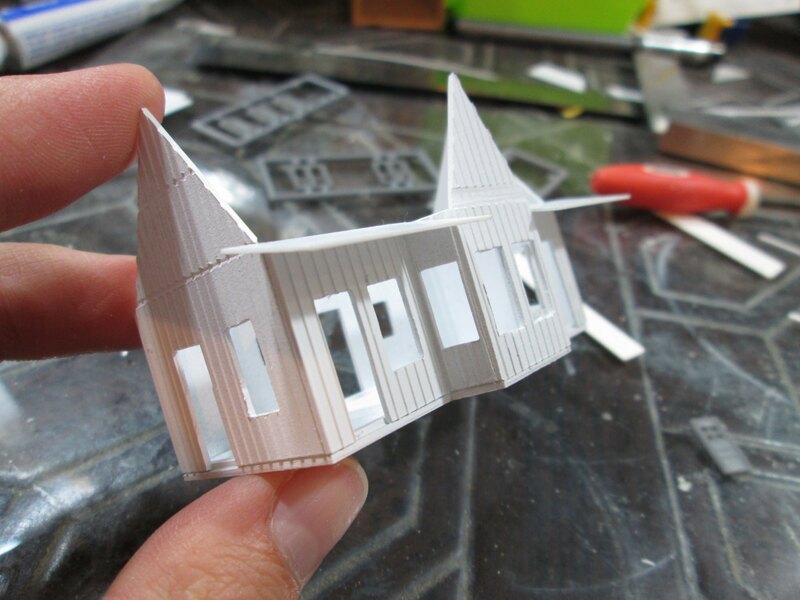 I cut the window openings using a novel wee tool, a Fiskars paper craft punch. Put the styrene between the tool, squeeze, and you're left with a square hole. It's designed for paper, rather than 1mm thick plastic, so struggles and groans, but does eventually get there. Some quick filing with needle files and the window is the right size. A bit more cutting, filing and gluing later and I had the shell of a station. Getting the roof to fit was an interesting challenge; I made may measurements, but there was still plenty of head scratching and the completed roof has many gaps. Here is the completed station, with doors and windows fitted and painted. I still need to add some lining and a station name, but it is mostly done. Unfortunately I didn't have many matching windows which is why there are several styles in evidence here. A few lights inside and outside the station will finish this off nicely.